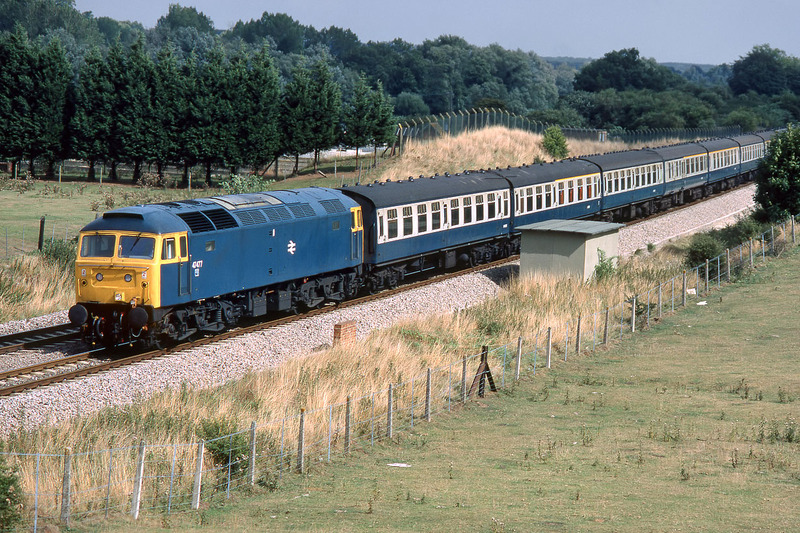 47477 passes Hungerford Common 3 September 1984 with the 1C44 13:40 Paddington to Penzance service. Often a Class 50, but no such luck on this occasion. At least the sun was out, on a day when a lot of the interesting trains passed when the sun was behind the clouds!